WASHINGTON – The U.S. Environmental Protection Agency launched the Water Infrastructure and Resiliency Finance Center today to help communities across the country improve their wastewater, drinking water and stormwater systems, particularly through innovative financing and by building resilience to climate change. 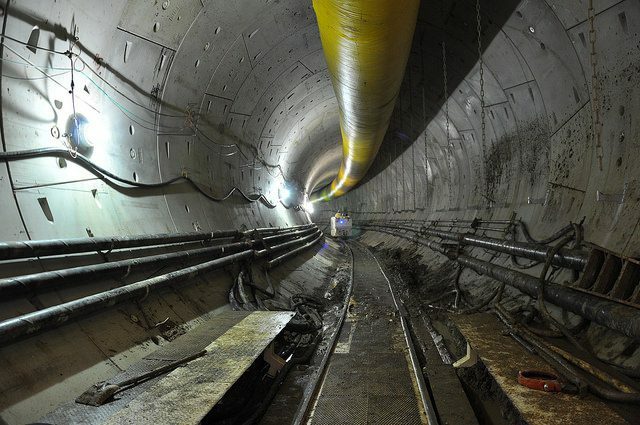 The center was announced as Vice President Biden and EPA Administrator Gina McCarthy toured the construction site for a tunnel to reduce sewer overflows into the Anacostia River in Washington, D.C. by 98 percent. The center is part of the White House Build America Investment Initiative – a government-wide effort to increase infrastructure investment and promote economic growth by creating opportunities for state and local governments and the private sector to collaborate, expand public-private partnerships, and increase the use of federal credit programs. Water infrastructure includes the pipes, drains, and concrete that carry drinking water, wastewater, and stormwater. It includes industrial wastewater pretreatment facilities; wastewater treatment plants; municipal separate storm sewer systems; decentralized, onsite and septic systems; public drinking water systems; and private wells. It also includes green infrastructure, which uses natural land cover to capture rain where it falls, allowing it to filter through the ground.